Looking to get the family a new Chevrolet in the Nashville area? Think big. The Chevrolet Traverse is not just massive; it’s cavernous. Always at the top of Kelly Blue Book’s 12 best family cars, the three-row, eight-seat Chevrolet Traverse just got even bigger. The new 2018 Traverse is now the biggest crossover in a very big class, and you can feel the difference the extra space makes when you step inside the cabin. The Traverse seems to get more spacious every year but, this year it really hit a growth spurt. GM added two inches in the wheelbase and expanded the overall size in literally every direction, increasing the Traverse’s length, width, and height from last year’s model. The cargo space is just as impressive as you would expect for a midsize SUV. It’s far bigger than the Acadia but smaller than the Tahoe, starting with 23 cubic feet—58 feet if you fold down the third row and a whopping 99 feet of cubic space with both seats folded forward. That is a lot of room. If it’s room for seating that you would prefer, the standard Traverse fits seven passengers, with two in front, two in the second row, and three in the last row (which may be a bit much for the size of the vehicle, depending on the size of your particular passenger crew’s frames). There is an option to get an eight-seat version, which is far preferable—especially if you’re the kid sitting in the middle seat on the third row of the seven-seat version. However, even that middle seat has plenty of elbow room in comparison to the space they’d get in many of the smaller SUVs on the market. In addition to the expanded size, Chevrolet’s engineers went above and beyond with the new Traverse, adding thoughtful features such as a hidden compartment behind the display screen and a convenient fold-away storage bin underneath the rear cargo floor. Chevy engineers also paid attention to detail when it comes to ways to utilize the additional space, as with the all-new SmartSlide seats, which are standard on the second-row seating. SmartSlide seating allows passengers easy access to the third row of seats, which are sometimes a chore to wiggle back to in some SUVs (that were obviously designed by those with less consideration for passengers’ comfort and ease of access than the team that designed the Traverse). Even though the 2018 Chevrolet Traverse is bigger in every possible way, it was, surprisingly, also designed to be lighter in weight than last year’s model—and therefore less of a gas guzzler than one would expect out of such a monstrous bus of an SUV. In fact, Chevy even surprised itself, outperforming the company’s own estimated mpg rating by two miles for an actual score of 27 miles per gallon, which is better than every other SUV in the bracket. Not that fuel efficiency is what most are looking for in a family vehicle of this size, but this practicality of fuel economy doesn’t hurt the Traverse’s reputation any. As far as engines are concerned, the Traverse is geared more toward comfort than performance. That doesn’t mean you’ll find the engine options for the Traverse underperformers, but instead that GM isn’t trying to turn any heads with them. The Traverse comes standard with a 3.6-liter V6 with 310 horsepower: plenty of muscle to push this behemoth safely and efficiently. If there’s one thing Chevy understands, it’s the Chevrolet brand’s market. People aren’t lining up around the block to purchase the Traverse with road trip fun for two in mind. If you are in the market for a Traverse, odds are you either have a large family, are in the process of making a large family, or just happen to be a nanny for a large family or the coach of a kids’ soccer team. With the needs of big families in mind, Chevy has made every effort to make the Traverse the perfect family vehicle. Not only is the vehicle equipped to handle all possible accidents and road hazards with safety at the forefront, but GM’s engineers have also put in some thoughtful features for families, some of which are new innovations. One example of this is the Teen Driver system. Peace of mind is worth a lot when you’re letting your children drive, and Chevy was thinking ahead when their tech team thought of this innovative feature. As families grow, kids become teens and begin to need wheels of their own. With the Teen Driver feature, parents can keep an eye on the driving habits of their offspring at all times and will even receive mobile updates on how their teens are doing behind the wheel. This program also allows owners to set up parameters for their kids to follow while driving, keeping the parents in control of an otherwise uncontrollable situation. When smart cars first hit the market, connectivity features were only available with high trim levels, and standard smart features were few and far between. These days, the computer car is the expectation, and motor companies are competing to go the extra mile and turn consumers’ heads in this category. Chevy has been able to stay at the front of the pack in this department. With the 4G LTE Wi-Fi System coming standard in all Chevy and GM models, these vehicles are basically rolling hotspots for mobile devices, complete with Apple Play and Android Auto smartphone accessibility. On high trim levels, drivers can enjoy additional safety features, such as adaptive cruise control and automatic emergency braking. The most exciting new tech feature on the Traverse is Chevy’s new take on the rearview camera. Now, drivers can turn their rearview mirror into a display screen for the reverse camera when backing up for a bigger, better, and more unobstructed view of what’s behind the vehicle. When you’re purchasing a vehicle to transport the whole family, safety comes first, and that’s most likely why GM focuses on safety features to give themselves an edge on the competition. 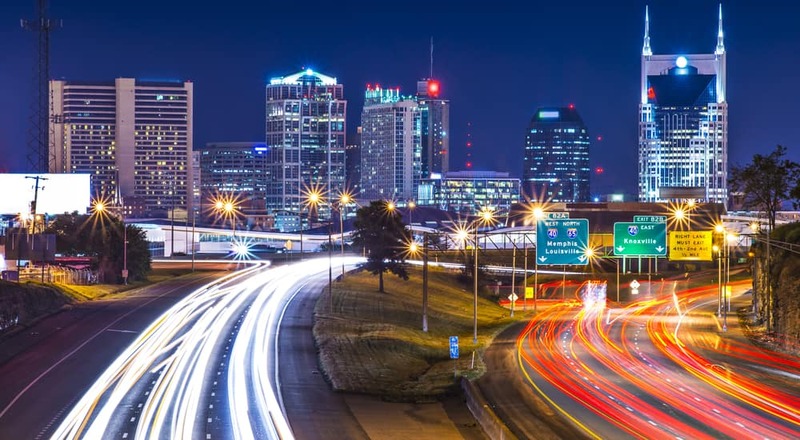 Nashville has become the preferred Chevrolet dealer in Nashville because of a dedication and commitment to knowledgeable sales and service, and that commitment is the core value of our organization—company-wide. We’ve handpicked our sales team and mechanical engineers at Carl Black to be the best in the industry. That’s because of a focus on brand knowledge and expertise that gives our sales consultants and sales managers a big edge over the competition. Our mechanics are all experienced and certified, with a specialized set of skills that is specific to Chevrolet vehicles. Our team knows Chevy engineering, and there’s nothing better than knowing that your car or truck is in good hands. Instead of focusing on high-pressure sales tactics and meeting their numbers, our sales associates put their energy into becoming walking Chevy encyclopedias and really listening to each of their clients. That means they’ll be able to help you get to the bottom of which of the vehicles in our lot is the best choice for you and your family. We believe that car buying should be a stress-free process, so we leave that kind of pushy, disrespectful salesmanship you hear about so often to the other dealerships out there. At Carl Black, our sales team focuses on the customer’s needs first. We let the products sell themselves, instead making it our goal to ensure that the customer is comfortable and well-informed when purchasing a vehicle. 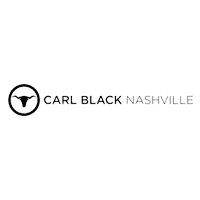 So whether you’re looking to test drive or purchase a brand new 2018 Chevrolet Traverse or select from a wide array of used Chevrolet, Nashville drivers need look no further than Carl Black Nashville. Give us a call, send us an email, or just come by for a visit today.